D-Photo looks at interesting photographers doing interesting things – Wellington photographer Thomas Seear-Budd who is currently exploring the notions of spirituality and healing within a natural landscape. D-Photo: Can you briefly describe what The Therapeutic Landscape project is? Thomas Seear-Budd: The Therapeutic Landscape project questions the way in which one’s experience and relationship with a natural environment can enable physical, psychological and spiritual growth/healing. The project began in early 2012 as I started to use photography and the landscape as a way of connecting with my mother, who passed away in 2001. As the project developed water became the dominant subject matter and Wellington’s south coast, for me, became a place of therapy, a landscape that induced contemplation, reflection and the act of remembering. The way in which water-based landscapes embody movement and an absence of movement makes them really intriguing. 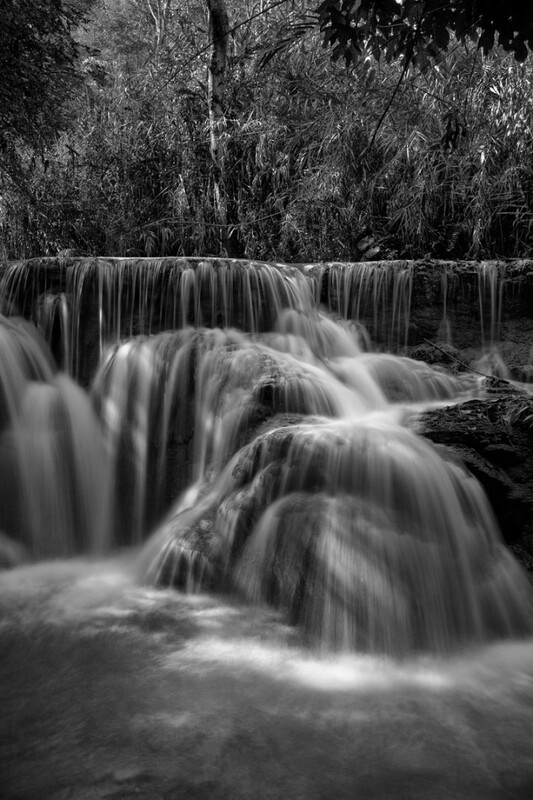 Furthermore, photography can capture and abstract water in ways that the human eye cannot. The abstraction of water through photography I think makes the images in this project more fantastical and surreal. These somewhat surreal photographs are intended to distill the essence of my own experience of the landscape while transporting the viewing into a realm of ‘stillness’, a psychological state of reflection and contemplation. A place of calm, void and escape. In what ways do you find landscapes therapeutic? I find water-based landscapes to be particularly therapeutic due to the way in which it provokes a sense of calm and reverie through the varying states in which it exists. For instance in nature one can experience water as a horizontal, flat and still body (still pond or lake), a horizontal and moving body (river or stream) or a vertical moving body (waterfall). Each state of water, whether it is still or moving, creates a different experience and a unique kind of therapy. I think everyone to some extent finds water therapeutic even if its just rain trickling down outside. Where do you look for your landscapes? Most of the landscapes featured in this project are from my travels through South East Asia. The waterfalls and mountains that I trekked to in Sapa, North Vietnam were particularly intriguing and thus form the basis of this project. However I have also have an intimate connection to Wellington’s south coast, as this is where the project began. In terms of finding new landscapes, I tend to stumble across them. However I do have locations I intend to visit in New Zealand as well as the desire to investigate the project in Japan. 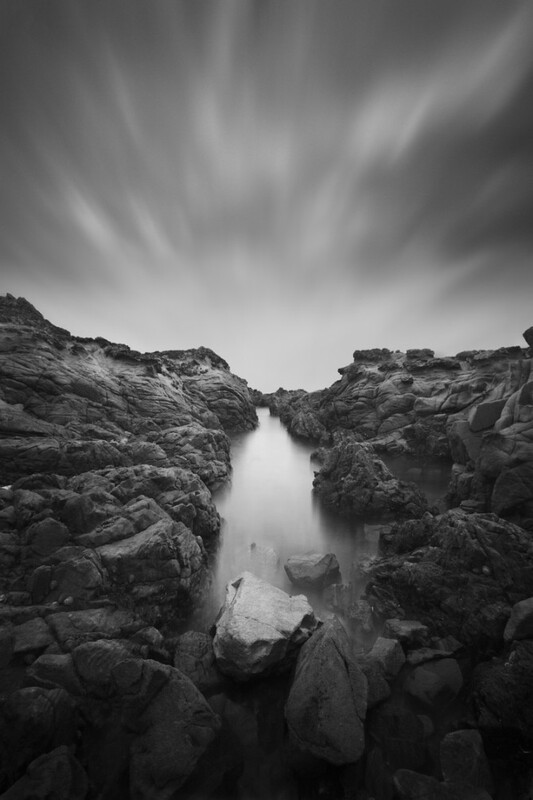 What other elements of a landscape most influence your photographic decisions? The context in which the water is situated is of particular importance. For instance the work created in Sapa, Vietnam is the most therapeutic because of the delicate quality of the trees in the mist became equally important as the water. These mist-laden trees depict an almost surreal landscape, one of myths and tales. The fantastical qualities of this landscape made it even more spiritual and moving. It was easy to loose yourself in the in this space. Additionally I found that the way in which the mist muted the detail in the trees actually strengthened the detail in the water. What kind of photographic gear are you using to create these images? Manfrotto 055CXPRO4 Carbon-fibre tripod + Manfrotto 498 Midi Ball head with RC2 Quick Release. However, I am hoping to get into medium format-film in the near future. What did you find was the most difficult thing in creating the images? Capturing water in a unique way so that the image embodies experiential qualities beyond straight documentation. How have your studies in architecture influenced your photography? Studying architecture has become invaluable for my growth as a photographer. Firstly, being self-taught, my experience in architecture trained me in seeing a landscape while interpreting it in ways that surpass documentation. Also architecture aids me as I experiment with composition and the use of light and shadow. Currently my photography and architecture is being combined through my Masters thesis as I explore the way spiritual architecture in conjunction with the landscape can enable the healing and rehabilitation of Aboriginal detainees in Australia. However the landscapes that this thesis is currently investigating are more dominated by fire than water. The absence of water makes the research interesting as it creates a tension and contrast with my previous photographic work. What do you hope viewers of The Therapeutic Landscape will get out of it? I hope that by experiencing my work the viewers are transported into a state of ‘stillness’ and contemplation, a space of internal calm. A pause from the busy world if you will. What’s the next step for the project? The next step is to finish my Masters thesis, which includes a photographic exploration of some landscapes in Australia. However in the later half of this year I hope to have a couple of solo and joint exhibitions both in New Zealand and Australia. Following the completion of my thesis (2014) I wish to investigate the project in Japan as the minimalist landscapes, importance of water and spirituality of the place will add another dimension to the project and path of inquiry.